Political divisions in Europe took center stage in 2017 as the economic recovery gained momentum. In the final part of the View Ahead series, we’ve scoured the continent to canvass the sharpest minds on the issues dominating investment thought on the continent now. Kit Juckes of Société Générale looks at foreign exchange, Frederik Ducrozet of Pictet takes the macro outlook, Sean Corrigan of Cantillion Consulting covers markets and Marc Ostwald of ADM presents the view on politics. I've enjoyed this series more than I expected I would. Two things I found interesting was that the view ahead is limited to 2018 (maybe that was the limit of the remit), comments on the time period passed this were largely skated over. That's fine for a trading view over this year, but it would have been good to get an opinion for how some of the longer term outcomes in their models are likely to play out. Little or no mention of debt in any of the discussions. To me this is the elephant in the room longer term where most EU countries have significant debt levels that are getting worse. How does this affect thinking, as it doesn't seem to input here? Interesting. Really liked the last two guys - spoke clearly and easy theses to understand. Solid (pro) Euro vs. Dollar arguments by Kit. Nobody knows where we're heading but the 10-year is at 2.6% as I type and like last year could be 'make or break' time. Are Gross and Gundlach right and is this nearing the end of the longer bond bull market, or is Raoul right and we have further to fall? I tend to think we'll have one more push down, and that on paper inflationary pressures won't surface this year, but who knows. Sure seems like any push toward 3% in the US ten year will impact the equity markets given we're already above SPX dividend returns, and if the FED tightens us into recession (yet again) that will be the nightmare scenario that Mr. Corrigan mentioned at the end. Lots to think about. I've watched all the macro presentations. Each country "expert" is generally convinced that "their country" is going to be a haven of growth in '18 after EM countries showed amazing growth in their equity indexes in '17. Trend following is the new paradigm with passive investing using ETFs its best illustration. Most of the speakers are sold out and are "selling their book." To me that spells a change in direction. As a Frenchy currently being based in Sydney, Australia, i came back home for Christmas. Still no civil war, still nothing really done about the trade deficit and customer service keeps (slowly) getting better, coming probably from the lowest base in the world. Biggest story in my surrounding is surprisingly the total destruction of public education by politicians and cronies, not (at all) terrorism or the euro. Another large problem is that some sectors are experiencing skills shortages, when the unemployment is still at 9.4%. Always so surprised to see people in Anglo-Saxon medias, French medias, US/English/Aussie/French smart friends themselves each living in their own echo chamber about their point of view on French Economy and pointing out , for each group, at totally different pros and cons. There is something to learn there i guess, that all groups/tribes are an echo chamber, and it becomes more important than ever to listen to people you totally disagree with. Q. is there an 'edit' function we can add to the comments section like you see in other websites? I constantly find myself wanting to correct spelling errors or leaving remnants of unfinished thoughts at the bottom of the comment I forgot about - would be so good to have say 5 minutes to correct any minor mishaps. Thx!! Another excellent thought provoking range of views. 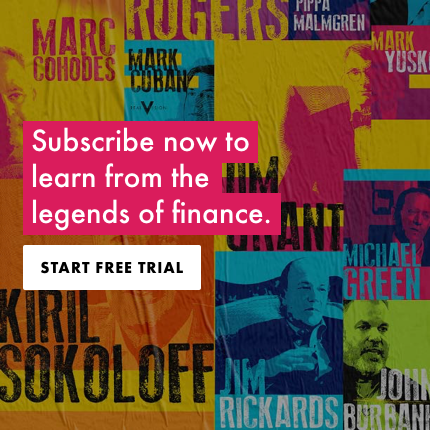 I have really enjoyed the this four part series which has provided invaluable food for thought on the major global markets. At the end of the day, glossy productions are nice to have, but the key will always be content, and this series on that score was right up there for my money! Excellent overview! Thanks a lot everyone!